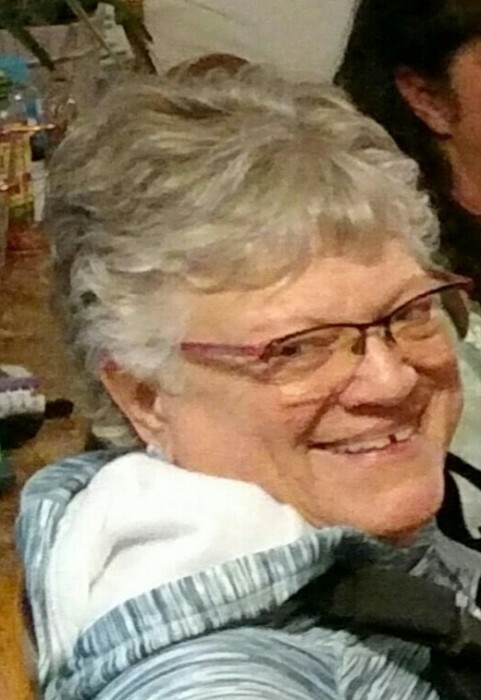 Rosemary "Rosie" Dunn Queen, 70, of Clyde Park, Montana, passed away peacefully on Wednesday, January 16th, 2019 at her home. A memorial service will be held on Tuesday, January 29, 2019, 2:00 P.M., at the Holbrook United Methodist Church, 424 W Lewis St, Livingston. Reception and further celebration of Rosie’s life will continue at the Shields Valley Community Center in Clyde Park beginning at 4:00 P.M.
Rosie was born on June 8th, 1948, the daughter of Tom and Gretchen (Gibson) Dunn. That was a year the Shields River had extreme flooding. Her mother had to make her way across a temporary snow-fenced bridge to get to Livingston to give birth. She was the youngest of three children. Rosie spent her childhood exploring the family ranch on Tobin Creek. She loved her 4-H group and her horses. She attended Cowan School through eighth grade, then Clyde Park High School. It was at school she would meet her future husband, Howard Queen. They would go on to marry on January 23, 1965 in Clyde Park. They began their married life on the Queen family ranch. As is often the case with life on a farm or ranch, the demands are constant and there never seems enough time to get everything done. In fact, right before the birth of their second child, Rosie was helping Howard with haying. She started to feel labor pains and off to the hospital they went. Their first son, Stephen, was born. They would go on to be blessed by the birth of a second son, Tom. They raised the kids on the Queen Ranch. Rosie was with Howard through thick and thin, always helping with the ranch and being a mother at the same time. One of the things she would do often is bring lunch to Howard and the boys while they were working in the field. It was something they all enjoyed as Rosie was a great cook and it gave them time to spend as a family. One of her favorite dishes that Howard enjoyed and requested often was spaghetti. Rosie and Howard’s first child was a daughter. She entered their lives when they were very young so they chose to give her up for adoption. Their daughter, Judy, came back into their lives years later and has been an important part of both of their lives ever since. Rosie and Howard resided at their ranch until Howard’s passing in 2007. For many years they enjoyed going to Canyon Ferry Lake where they enjoyed spending time with family and friends. The lake provided many great memories, family get-togethers, fishing, and of course, Rosie’s cooking. Over the years Rosie worked several jobs. The ones she enjoyed the most were when she was able to see her friends and members of the community. She worked at Trowers Pharmacy, Public Drug, and as a seamstress for Wild West Clothing in Livingston. Rosie was very artistic. She painted, did ceramics and was very creative with her sewing. She was also open for new adventures. She decided to take up skiing after taking up the boys to ski and waiting for them in the lodge. She reasoned that it would be more fun to ski than to sit in the lodge all day. In addition, Rosie was active in her church, the Shields Valley United Methodist Church in Clyde Park, where she had served as treasurer. Rosie was always well liked, and for good reason, she was fun, upbeat and enjoyed the company of others. This past June, her children surprised her with a 70th birthday party which overwhelmed her with love. She was so pleased with all who came to celebrate. The only thing that made her happier was being with her grandchildren, she was so proud of them all. She will be missed, but will always be with us in spirit. Rosie is survived by her children, Judy Bromling and her husband Lorin of Brookings, SD; Stephen Queen and his wife Lori of Seattle, WA and Tom Queen and his wife Sheri of Clyde Park, MT. her grandchildren Jenny Trygstad and husband Dallas, Kristy Welbig and her husband Cody, Kyle Young and his wife Katelyn, Kade Queen, Kellen Queen and Bill Heath, step-grandchildren, Brittaney Schaefer, Kassidy Pajalich and Beau Counts. She is also survived by her brother, Gerry Dunn and his wife Lila of Great Falls, MT. There are numerous great-grandchildren, nieces, nephews, cousins and other relatives. She was preceded in death by her husband, Howard in 2007, her parents before that and a brother, Dr. Thomas G. Dunn and his wife, Nancy. Memorials are preferred to the Howard and Rosie Queen Scholarship Fund, c/o Bank of the Rockies, P.O. Box 02; Clyde Park, MT 59018.